It started as a normal night out with a friend who I was excited to see for the first time in months. He had just placed fifth in a bicycling competition and wanted to celebrate so we hopped between parties in the downtown Orlando area, seeing old faces and meeting some new ones. It was just an average night until shortly after 2am. Suddenly police cars swarmed the area. Helicopters roamed above us and the shrill sound of firetrucks blared in the distance. Details were scarce but fear was everywhere. Michael and I worried about our safety, and the safety of all those in the area. People talked about the possibility of a bomb, which heightened the sense of terror. We waited to hear back from those who weren’t answering our calls. 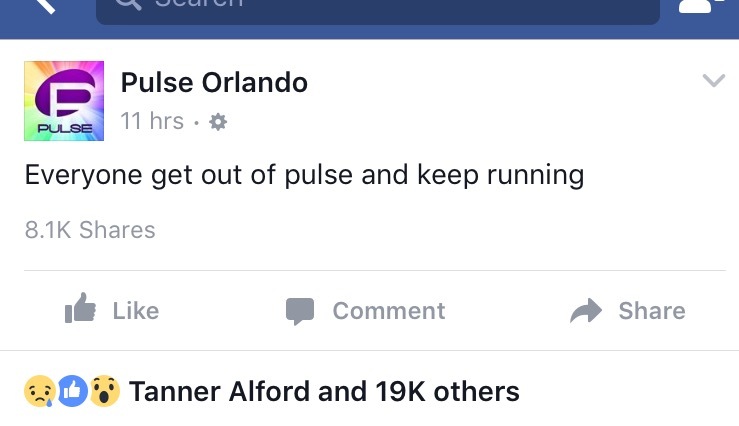 We soon got a screenshot from the Pulse Facebook page – “Everyone get out of Pulse and keep running” – that chilled us to our bones. The next thing we knew Michael’s friend was doing a live feed of the chaos outside his apartment which was located across from Pulse. Cops were guarding entrances and no one was getting in or out. Michael was getting updates on nurses trying to resuscitate people in the middle of the street and I was getting texts from friends about hearing the gunshots. I was worried a bomb would go off any moment. Even the hospital was put on lockdown and there were temporary tents set up for nurses to treat all the victims who had managed to get out of the club. Everyone I knew was afraid, and no matter how hard I was trying I couldn’t calm anyone down. I tend to rationalize and comfort others in emergencies, and convince others to not give in to their fears. This just wasn’t possible in a situation where it just seemed to get worse as the moments went on. I kept telling everyone to give it some time, that they would hear from their loved ones and details would become clear, or they would finally be cleared to leave the area. “Give it some time.” I realize now how arrogant that sounds. I should have picked a better line. 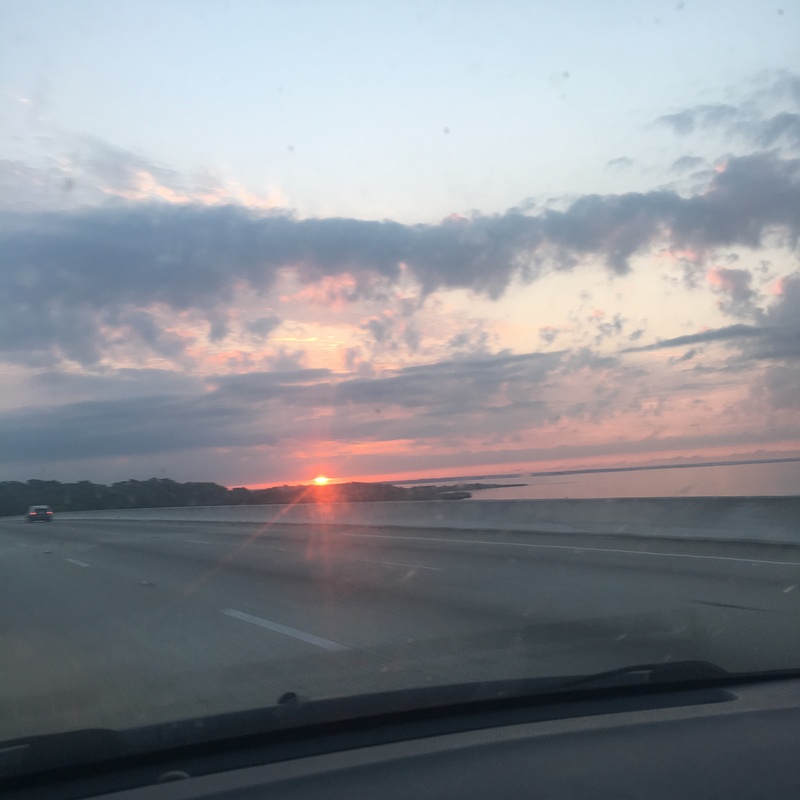 Somewhere around 6.30am, as everything cleared and friends were accounted for, I rushed in my car, took my friends home, and hit the interstate as fast as I safely could while being thankful I could watch the sunrise in safety, mournful of the unknown number of people who I realized were stripped of the same opportunity. 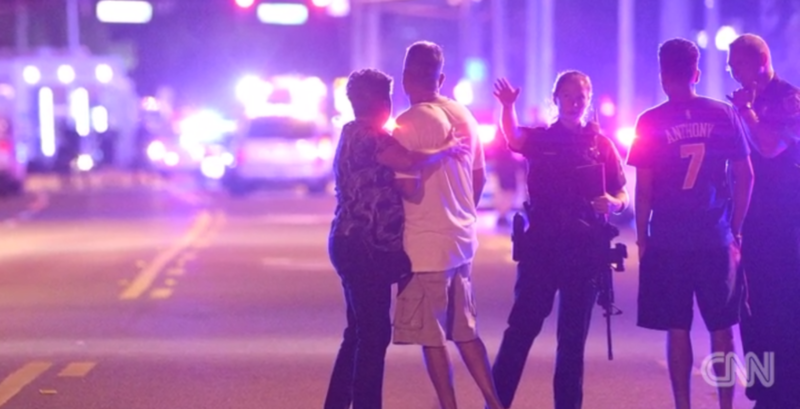 Omar Mateen had chosen a well-known LGBT club to open fire on in downtown Orlando, on a night where the club was filled at capacity by every day people looking to find happiness among the solidarity that the club offered. Words cannot describe what an affront this is to the memories I have of Pulse, whether it be from nights I spent there or the many hilarious stories (usually accompanied by pictures) that my friends shared with me from their nights before. 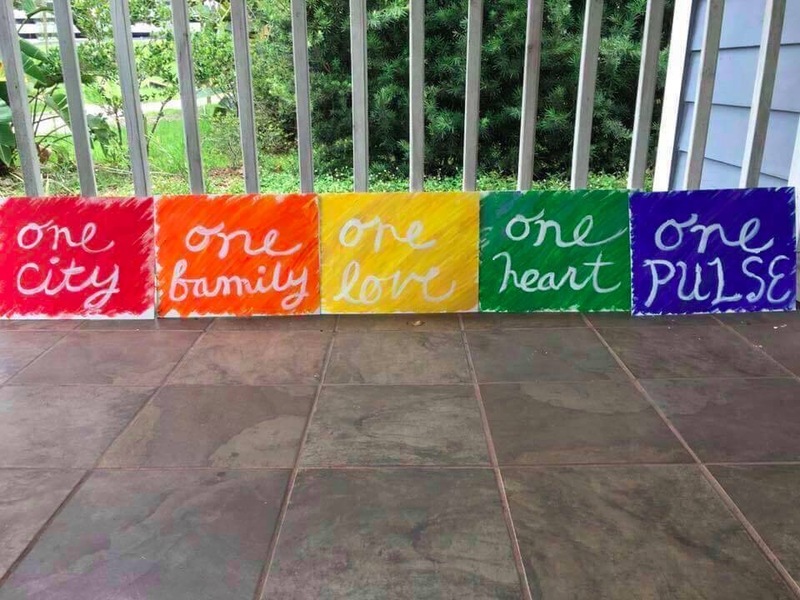 Omar Mateen took my hometown filled with childhood memories and turned it into something unrecognizable in a matter of hours, and for that he will be neither forgotten nor forgiven. He took a night intended for music, dancing, and happiness and twisted it into a convoluted plan comprised entirely of nothing but hatred. We cannot, and we will not let his hatred seep into our own lives as a result. The Orlando community from all races, religions and backgrounds came together on June 12th to show just how strong the force of love can be in the face of hatred, and I have an immense swelling of pride to know that this is the city I was raised in. As the wait to donate blood exceeded seven hours, as groups of people with powerful and loving signs stood outside ORMC, and as all the first responders, nurses, and surgeons worked quickly and tirelessly to help the victims of this terrible incident, I was reminded why I refuse to allow the actions of one person to harden my heart to the world, and especially to Islam.